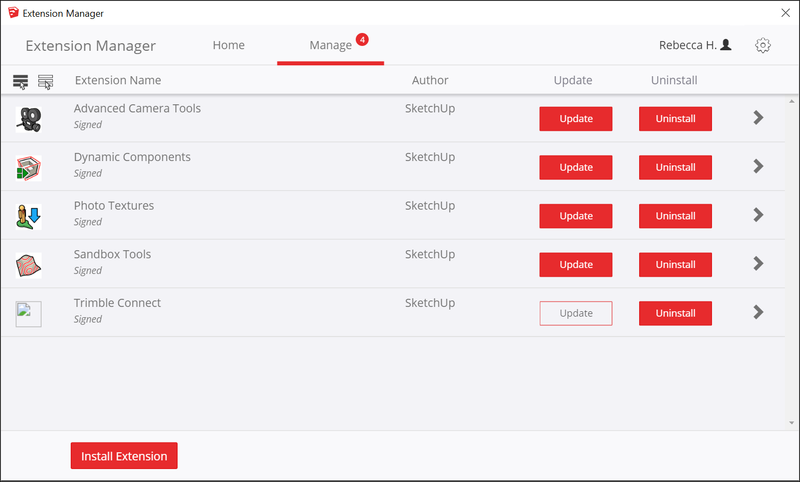 SUClock helps you to track the effective time spent in Sketchup. The concept of effective time is based on the activity recorded within a certain duration, called idle time, which is a kind of ‘time to think’ (or the time to have a coffee). Time is tracked in a Project, which can group several .skp models. A Project is simply materialized by a file with extension .suclock to which you attach your models. SUClock optionally displays a small clock showing the effective time spent in the project which your models are attached to. It also includes some statistics about where the time was spent (by models, by tools, by dates) which can be printed or exported in CSV. You can also set alarms when the time spent on the project reaches a certain ratio of a target duration. IMPORTANT: Make sure that you have first installed LibFredo6 v7.6 or above. SUClock is released as a regular RBZ extension file on the Sketchucation Site. IMPORTANT: Whatever way you choose, you MUST quit and restart Sketchup to get SUClock (and LibFredo6) properly loaded. To Track time in a model, just click the small watch icon. A dialog box will appear where you can attach the model to a newly created project or to an existing project. You can further access the parameters of the Tracking project by clicking on the small wrench icon of the visual clock, or on the SUClock toolbar icon. From the dialog box which is displayed, you can change the idle time value, in minutes and you can access the statistics. You can also move the model to another project, reset the clock for the project. See documentation for details. Here is the documentation, in English, updated for version 1.5. SUClock 1.9c – 12 Nov 17: Fixed bug in CSV export for non English languages. Added TSV export. SUClock 1.7a – 20 Oct 14: Fix a major bug in display of clock introduced by LibFredo6 6.1. SUClock 1.1b – 19 May 11: added an extra column with Excel formatted date for the CSV export of view by Day/Month. SUClock 1.1a – 17 Apr 11: initial public release.